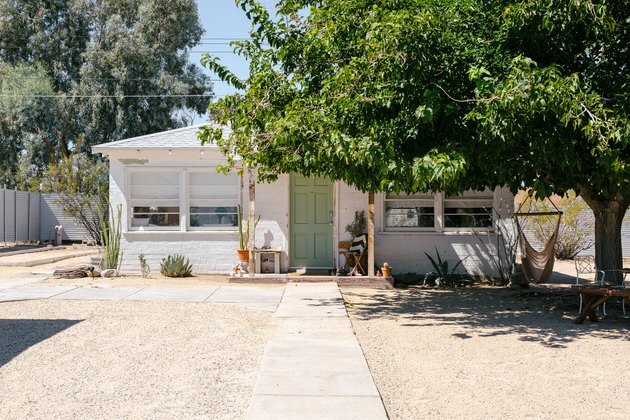 In the late 1930s, homesteaders headed out to the high desert, with the promise of five-acre plots of land and few rules. You can see the remnants of that era all along Highway 62, in towns like Yucca Valley, Twentynine Palms and Joshua Tree. And while the homestead era is behind us, the spirit remains. 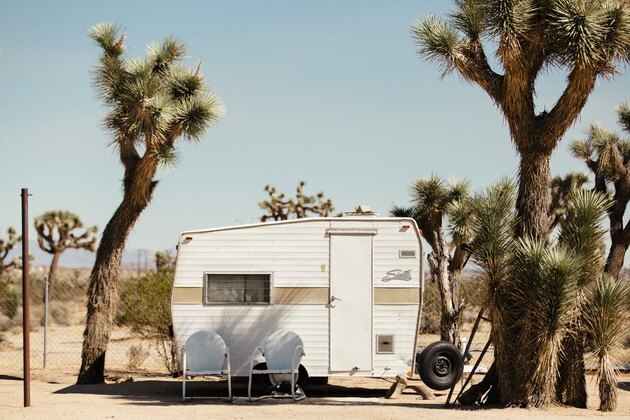 It's what compels those fleeing the confines and strictures of city living to come to Joshua Tree, scoop up old decrepit homestead cabins and refashion them into a new kind of desert utopia. 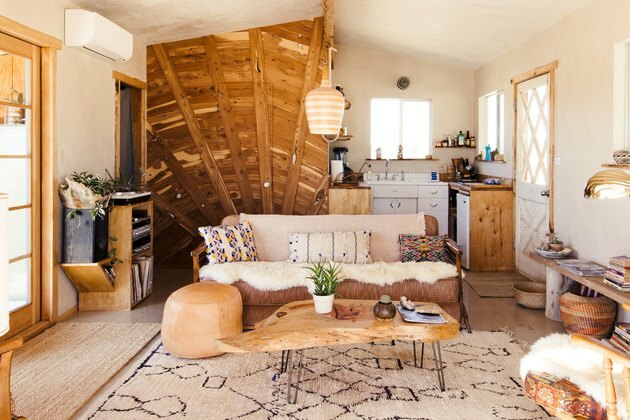 Take, for instance, the people behind Joshua Tree Acres — Joseph August, Justine Bennett, and Andrew Uhlhorn, musically-inclined friends who call Venice, California home. 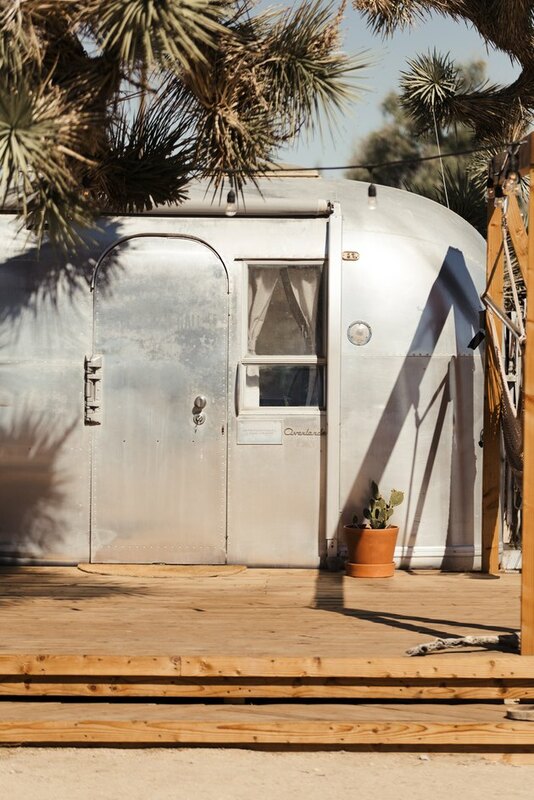 Their five-acre Airstream compound is a blank slate for the kind of community they seek. It's a wholly collaborative design and build process, with a sharp eye for vintage, a nod toward their collective love of music, and an ever-evolving vision for what their plot of land, a 10 minute drive from town, could be. "When we walked on the property, we had an immediate vision, a really clear moment when you knew what the property was going to be," says August. The existing homestead cabin — which had been stripped for copper and had seemed, to August, to have been a de facto bird sanctuary inside. But it was tilted just-so on the property, not toward the road but toward the Aberdeen mountains. "When you're on the patio area, it's a perfect view." 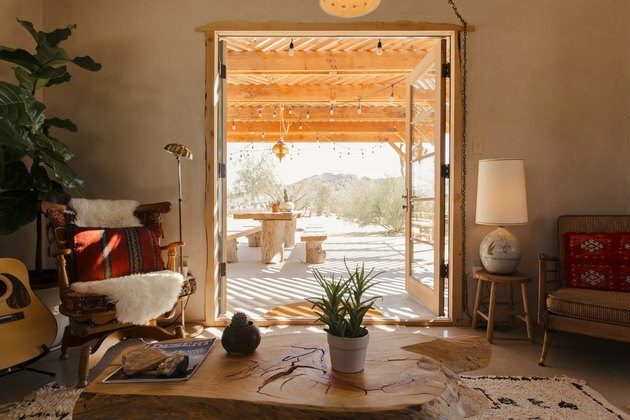 Now it serves as the compound's club house, decked out in a vintage Moroccan rug and handmade tables, where guests gather to cook, eat, get clean, and meet other desert wanderers. 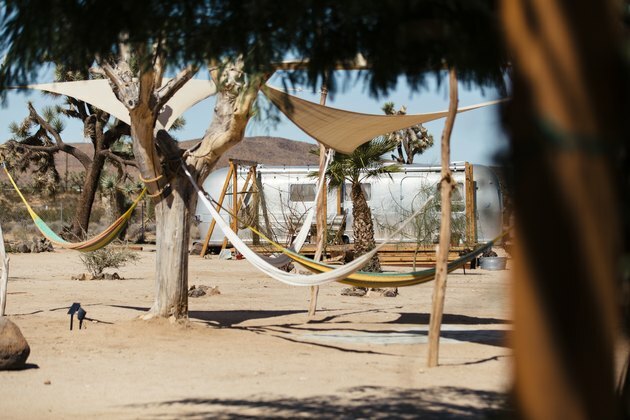 Joshua Tree Acres opened up, appropriately enough, right before Coachella 2017 drew 125,000 music lovers out to the desert. At the time, it was just two airstreams — The Sound of Silence 1964 Airstream and the 1975 Piece of the Sky Airstream — both named for the music of their era. 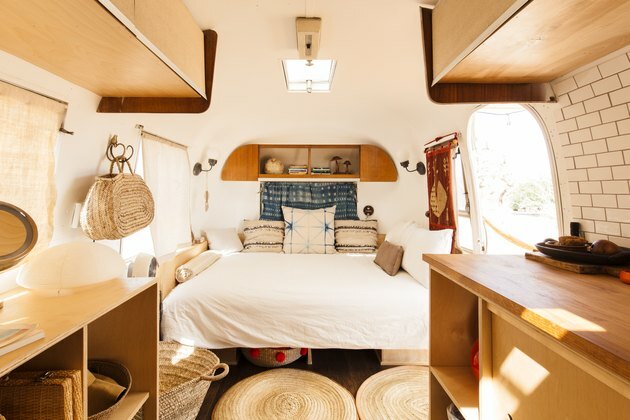 August, Bennet and Uhlhorn appointed each of the Airstreams with warm textiles and their signature vintage touches. "We're kind of incessant with finding things," says August. "One of us is at a thrift story every day. If I'm traveling for my music, I'm going to a local thrift store, I'm going on Craigslist. If I'm in a foreign place, I'm looking for pieces that would work." They decide collectively on each piece, via group chat. It can be ruthless, laughs August. The two Airstreams were just the first stage, says August. "This is not a project that you finish and move on. It's an evolving thing." With the recent addition of a third airstream, Merchant on the Road Airstream, owned by the mother-daughter team at Santa Monica's Merchant Modern, and another yet-to-be-listed 1959, Bambi Airstream, only 18 feet long, August, his partners and a team of local builders and fabricators have also added an outdoor kitchen, complete with a pizza oven and BBQ, and are eyeing the 10-acre property next door. "We're scaling up for larger events, that's the next thing." 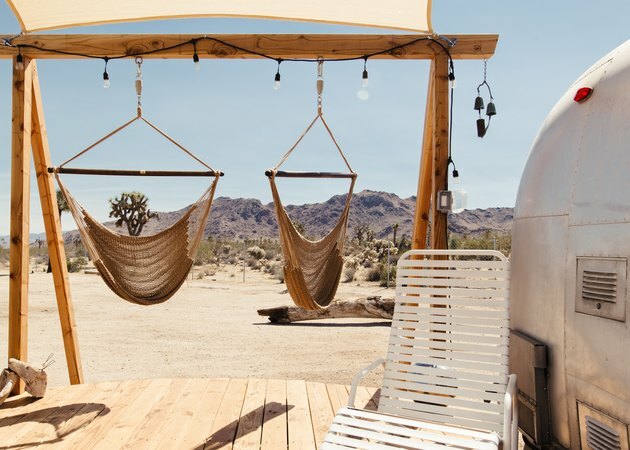 Think yoga retreats, mid-week Coachella events, pop-up dinners with Santa Monica-based chefs, even a stage. It's like anything could happen — and that's the point. "One idea of this property is to have a sense of spontaneity," says August. "You come on the property, you don't who you're going to see, you don't know what's going to happen. I think there's something exciting about that. 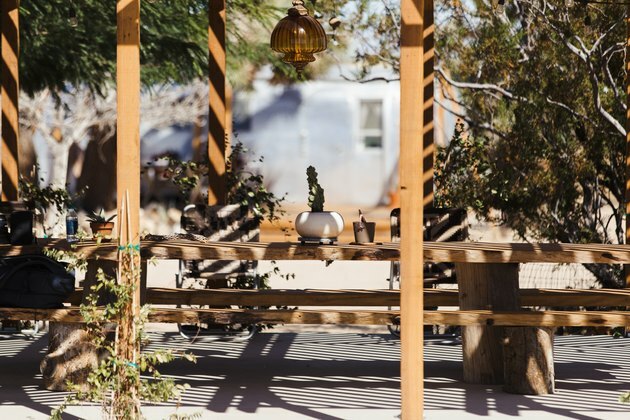 The well-appointed club house is the heart of the Joshua Tree Acres compound, and where the vintage-modern design really shines. 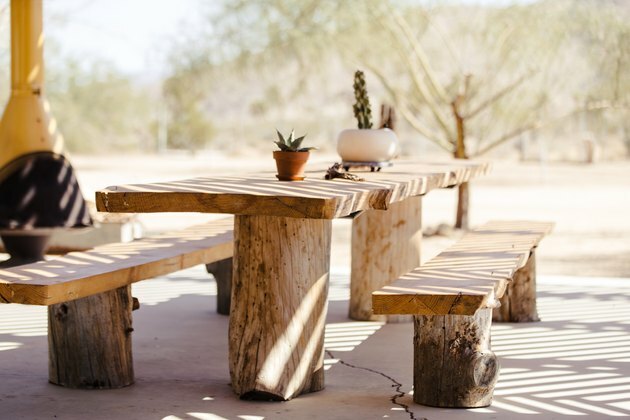 The wood for the hand-made table is from a friend in Idyllwild, California. 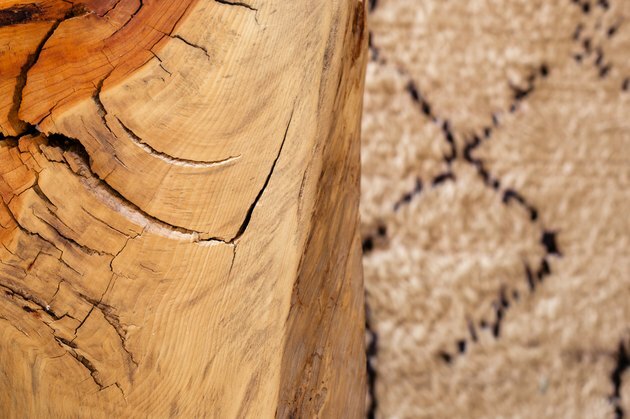 The Berber rug is from the 1950s. From the club house living room, you can see the Aberdeen mountains. 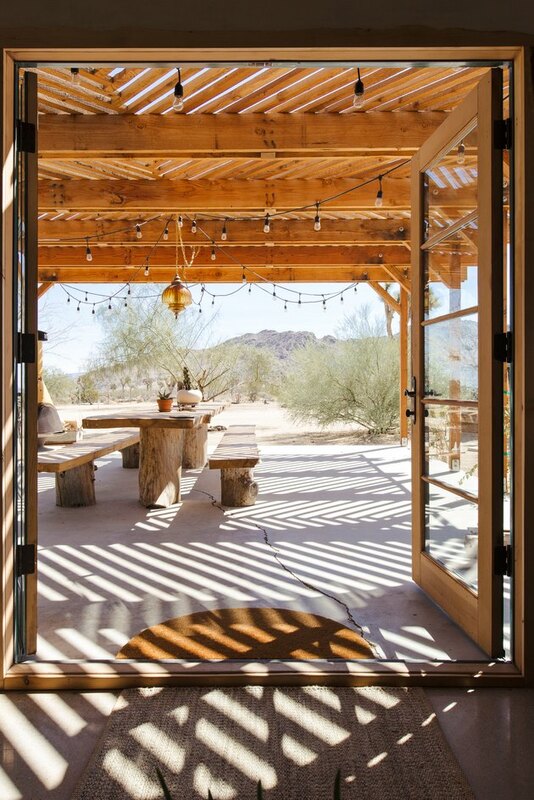 The reclaimed wood for the outdoor dining area is also from Idyllwild. It reflects the trio's penchant for all things vintage and reclaimed, and echoes the area's Wild West past. The shared outdoor living area is replete with hammocks, outdoor tubs, and lounging areas meant to bring people together. Signature interior touches include shibori textiles and baskets. 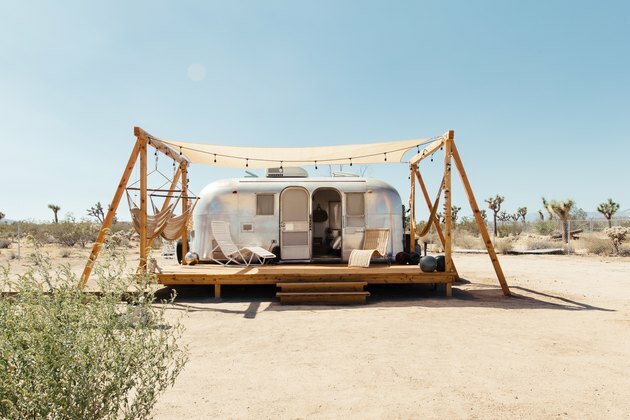 Each Airstream has been updated with outdoor decks, lounge chairs, hammocks, and shade sails, to increase the living space. Also on the property is this 13-foot 1970s Shasta trailer. "It's all mattress, that's it," says August. "We found it in Arizona and just kinda pulled it back into the property. We loved the look of it." Don't miss this: The trio also own this high-low, vintage-modern gem in the J. Tree just minutes to the national park gateway.